I had this perfect shot of the only two clouds in the sky, and my only vantage point was obstructed by a TV antenna and a captive Martian. I like the shot anyway. 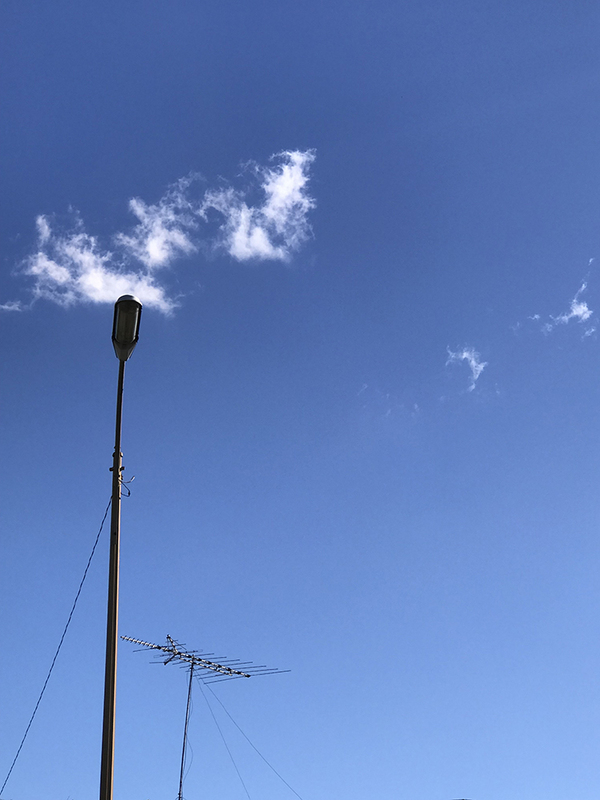 This entry was posted in Personal Stories and tagged artistic process, clouds, creativity, imagination, Martian, photography, street photography, TV antenna, visual arts. Bookmark the permalink. The kind of hat that someone wears, who sits in front of you at the movies.